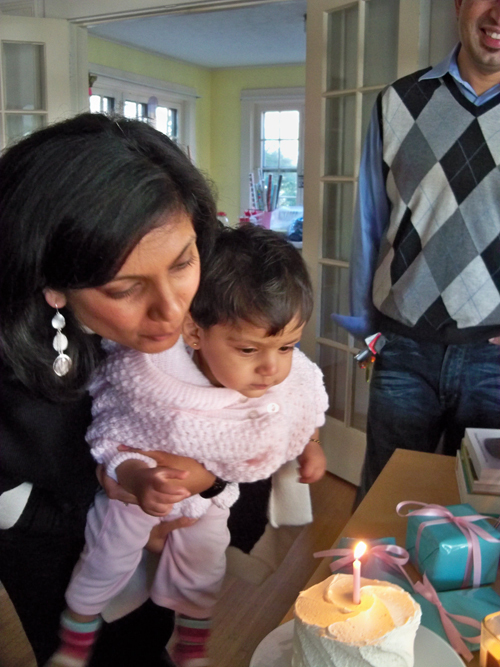 We are all happy to have Shruti back from India and also excited to celebrate Anaya's first birthday. She did a pretty good job at being a birthday girl with jet lag. 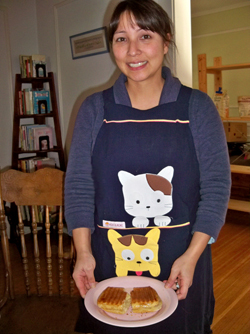 I was also excited to use my new kitty apron my mom got me for Christmas. I made hot pepper jam and brie panini for lunch. That Panini sounds so good. 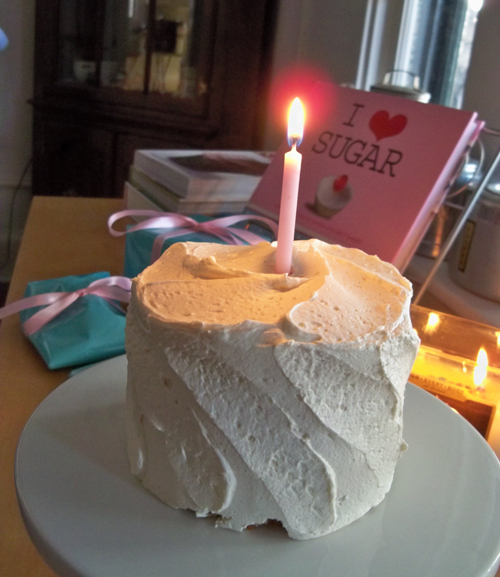 I see a Wegmans Ultimate white cake! Yumm! It is my new favorite. foodiechickie - the recipe is so easy! It's just hot pepper jam (I made our own this summer) and slices of brie between sliced panini bread, buttered on the outside and squished in the panini maker. Hot pepper jam and brie is also good in a baguette! I spotted the Weg's cake right away too - maybe we all spend too much time at that store, *Grin* Have you tried the new ciabata baguette - super yum.